Deaths attributed to negligence or malice should be few and far between but, sadly, that isn't the case. Each year, more than 1 million people in the United States are killed due to the negligence or malice of another person or entity. Delaware is no exception to the problem. In 2016, more than 100 people in the state died in auto accidents alone, according to the Delaware State Police. When someone is killed due to another person's negligence or wrongful actions, Delaware state law gives certain members of the victim's family the right to file a wrongful death lawsuit to seek compensation for economic and non-economic losses related to their loved one's untimely death. Who Is Eligible to File a Wrongful Death Claim in Delaware? Delaware law doesn't give just anyone who was close with the deceased the right to file a wrongful death claim. The state restricts that right to the deceased person's spouse, child(ren), parents, and siblings—this includes children born out of wedlock, parents who were not legally married when the deceased was born, and half-siblings. The relative who has the ability to file a claim depends on who survives the deceased person. Statutes of limitations are laws that determine how long potential plaintiffs have to file a lawsuit. In Delaware, a deceased person's surviving spouse, child(ren), parents, or siblings have two years from the date of the event that caused the death to file a wrongful death claim. Wrongful death cases must be filed by the deadline specified in the statute of limitations. Lawsuits filed after the statute of limitations has expired will be dismissed without being heard, and the plaintiff will have given up the right to pursue a legal remedy for their beloved family member's wrongful death. Funeral and burial expenses, up to a certain limit. Wages and benefits the deceased would have provided. Loss of spousal or child support. Loss of household, marital, or parental services. Mental and emotional anguish (who can collect this depends on who survives the decedent). The defendant owed the plaintiff a duty of care (for example, motorists have a duty to drive safely to avoid causing accidents). That breach of duty resulted in the incident in question. That incident directly lead to the death of the plaintiff's loved one. 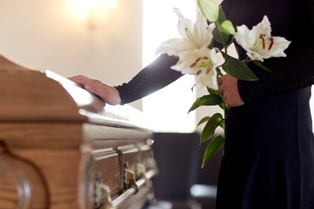 Do You Need Help Pursing a Wrongful Death Claim in Delaware? If your loved one was killed due to another person's negligence or wrongful actions, you may have grounds for a wrongful death claim and be entitled to a wide range of compensation. Although a monetary award can never replace a beloved family member, it can help ensure that the family recovers financially from the tragic loss. At the Morris James Personal Injury Group, we understand that this is a difficult and confusing time, and we're happy to answer any questions you may have. Contact us today to schedule an appointment for a free initial case consultation.